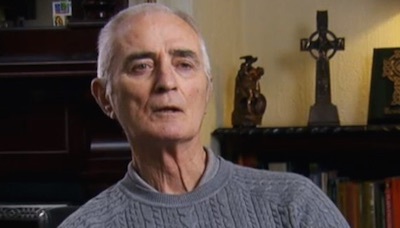 Gerry McKerr, one of the “Hooded Men” - a name now used to describe the group of detainees subjected to the UK security forces’ infamous “Five Techniques” of interrogation in Northern Ireland - passed away this week, aged 71. I first met Gerry last November, at a press conference in Dublin, where Amnesty International joined the surviving Hooded Men in calling on the Irish government to seek a reopening of a 1978 European Court of Human Rights case. The Court’s ruling in Ireland v United Kingdom found that the men had been subjected to inhuman or degrading treatment, but not torture. New evidence made public by the Irish broadcaster RTE’s Investigations Unit last June showed that the UK withheld vital evidence from the European Court which could have been decisive in reaching a finding that the men had been tortured. Gerry McKerr’s harrowing testimony on The Torture Files, describing stress positions, still rings in my ears: “We had to assume the position in complete silence. It was suffocating, sweating profusely, gradually we became disorientated, and after an hour we would collapse.” Such stress positions were just one of the “Five Techniques” the UK security forces meted out against detainees held in a purpose-built internment facility in Northern Ireland. Despite his poor health, Gerry made the trip to Dublin from his home in Lurgan and spoke at our press conference, after which the men wrote and hand-delivered a letter to the Taoiseach (Prime Minister) imploring Ireland to request a reopening of the case. Rita O’Reilly of RTE and I recalled Gerry after the press conference, patiently directing a bad driver out of a parking spot, when, frankly, what he really needed to do was sit down and catch his breath. He really was tireless. It was a pleasure to see him again in Belfast in December, when, against the Hooded Men’s expectations, the Irish government asked the European Court to review its 1978 judgment. Jim McIlmurray, who acts as the case coordinator for the group, recalls Gerry’s reaction the moment he heard the news: “Justice, finally we will get justice.” Gerry, looking dapper in his blue-grey jacket, was beaming along with the other men as we arranged a meeting between them and Thomas Hammarberg, who had led Amnesty International’s 1971 delegation to investigate abuses in internment. Thomas said that day: “Time doesn’t heal all wounds if justice isn’t done.” Their story was coming full circle, and there was a glimpse of justice and truth on the horizon. Seeing Gerry that day under a clear, blue Irish winter sky, gave me a sense of what a tonic a whiff of hope and a glimmer of justice can be. One of Gerry’s greatest regrets was that the flawed judgment in the Hooded Men case was used to justify the torture of other detainees around the world. Gerry sadly did not live to see justice done in full, but his steadfast commitment to ensuring truth, justice and accountability for torture are a reminder to us that such injustice will simply not be permitted to stand forever. The surviving Hooded Men and their lawyers will continue that struggle. We too will continue to watch the European Court closely as it considers Ireland’s request, in the hope that its flawed judgment is set right four decades on. Much like peace, truth and justice too come dropping slow. It takes the bravery of torture survivors like Gerry and their advocates to remind those in power that their struggle for truth, justice and accountability - even after they have passed away - will endure. I hope Gerry has found peace, and that, in time, truth and justice follow.